Senior Day dawns on the Isle of Man, and this national holiday is far from a day-off for the riders. With six laps of the fearsome Mountain Course, the top riders will have just over 100 minutes to etch their names in the history books. The list of past winners is a who’s who of road racing, and brings to a close two weeks of helter skelter action at the road racing capital of the world. Mike Hailwood and John McGuiness are the most successful riders in the history of the Senior, with seven wins apiece, but with only two active riders, Michael Dunlop and Ian Hutchinson, having claimed a win in the blue ribbon race, we could see a new victor added to the 45 names on the winners list. The sign at the starting line said “conditions excellent” as the Isle of Man provided another perfect arena for motorcycle racing, as Race 2 of the Supersport TT got underway. 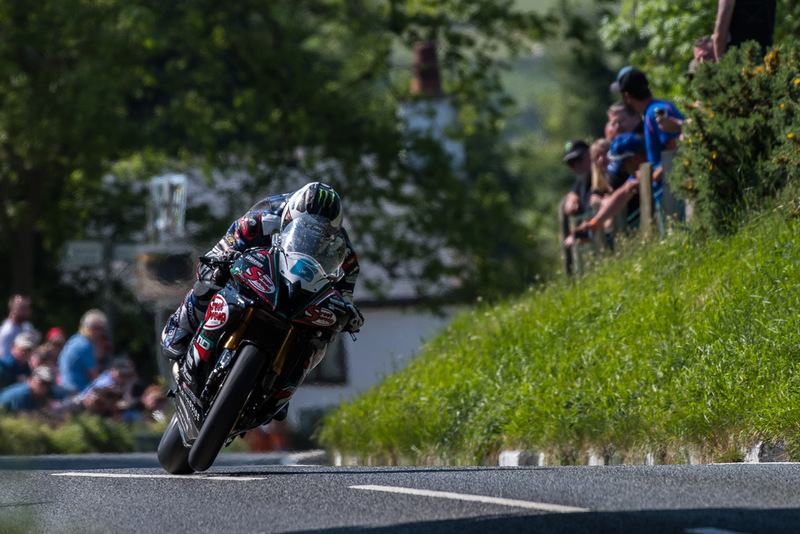 With Michael Dunlop setting a 129 mph lap during Race 1, conversations already started about whether we would see a 130 mph lap from the supersport machines, an almost crazy average lap speed to consider from the 600cc machines. While we wouldn’t see the record books change that entry today, we did see an eventful Supersport TT Race 2 at the Isle of Man TT. If you took a straw poll from road racers, the Ballagarey corner would likely rank highest on the list of places found on the Isle of Man TT race course that scared these otherwise two-wheeled warriors. The corner has such a reputation, that the name “Balla-Scary” has been coined to describe this fast section of the track, situated between the 3rd and 4th milestones. In 2010, Ballagarey claimed the life of racer Paul Dobbs, and a day later Guy Martin escaped a fiery crash there as well. 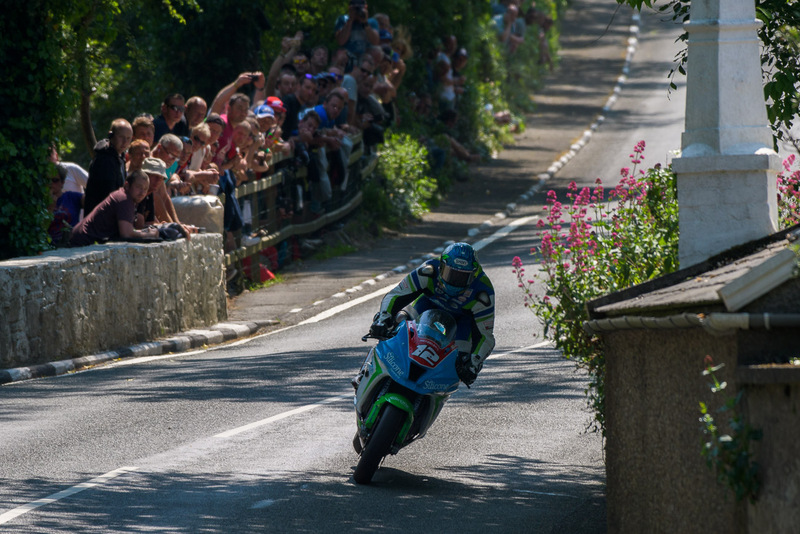 While every TT rider surely knows the reputation of Ballagarey, at this year’s Isle of Man TT, it was James Hillier who found a new respect for that part of the Mountain Course, having a huge moment on his Kawasaki superbike, during the Senior TT race. You can watch this miracle save, after the jump. Monday’s racing action at the 2017 Isle of Man TT saw the supersport machines taking to the Mountain Course, for the four laps of the Monster Energy Supersport TT Race 1. Despite the change in the machinery, the narrative remained focused on two men: Ian Hutchinson and Michael Dunlop. 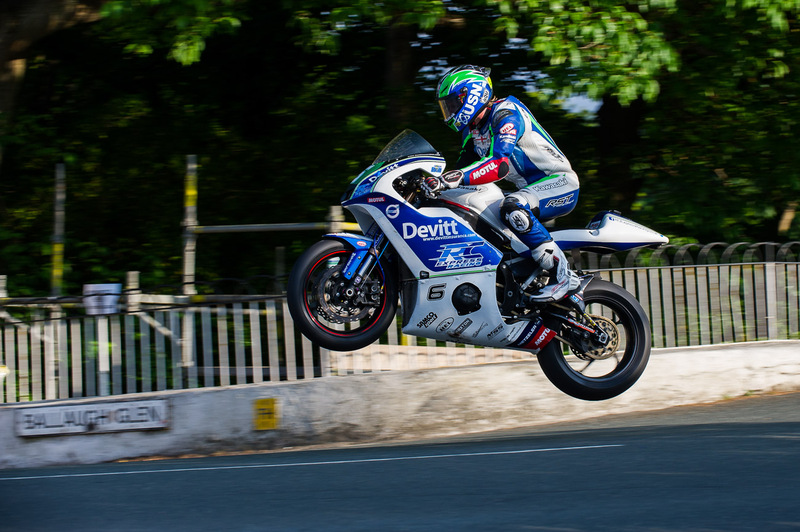 With Hutchinson already taking the honors in the opening Superbike TT, the question remained whether Dunlop would respond on the 600cc machines – a class where he typically goes quite well around the TT course. 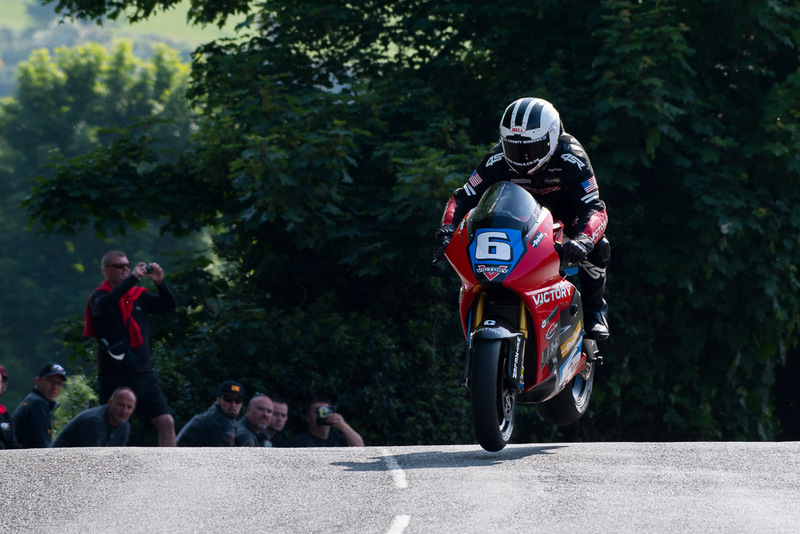 The was a resounding yes, with Michael Dunlop taking Race 1 of the Supersport TT in a convincing fashion, making this his 14th Isle of Man TT race victory. John McGuinness claimed his 46th TT podium, with a 3rd place in the Senior TT. Ben & Tom Birchall at Signpost Corner, on their way to victory in the Sidecar TT Race 2. 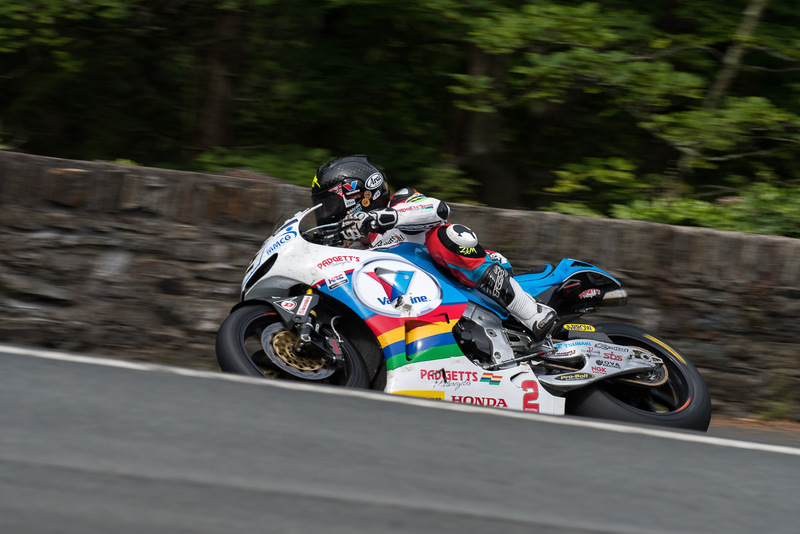 Bruce Anstey at Braddan Bridge. Last to go on Wednesday for the Isle of Man TT, the Bennetts Lightweight TT features “super twin” four-stroke machines, of up to 650cc in displacement. The weapon of choice in the class has been the Kawasaki Ninja 650, but that is slowly changing. Gary Johnson, for instance, has made a good show of things with the Chinese CF Moto. Though any rider can compete in the Lightweight TT category, the class is seen by many as a stepping stone onto a supersport or bigger bike. As such, many of the TT’s upcoming stars feature in the Lightweight TT. A four-lap race this year, the Lightweight TT in the past has been a three-lap contest, which brought a bit of strategy into play on when to take a pit stop. Now four laps, that intrigue has been removed, but given riders a more difficult contest on machines not designed for racing.